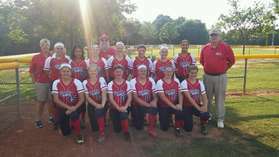 Welcome to the Virginia District 15 Website and home to the 2016 Virginia Junior League Softball State Champions, Richmond County Little League. Leagues are reminded to ensure 2017 By-Laws and Local Rules are approved by the Local Board at least 30 days prior to the first scheduled game - normally Opening Day - and made available to the membership. District 15 is looking for a league to host the Virginia State 9-11 Softball Tournament and the District Tournaments. This will be a major topic for discussion at our next District Meeting. Thank you to all of the Leagues and Boards of Directors that hosted District Tournaments last season. These games and these tournaments would not have been possible without your support and dedication and the contributions of your Volunteers. Thank you! The Motto of our Virginia District XV Little League, Inc. Please sign our guestbook, tell us what you think and want to see on our website. I'm new to etamz website management, so please be patient. CONGRATULATIONS DISTRICT 15 FOR RECEIVING THE "DISTRICT AWARD"
As of March 11, 2016, all District 15 League Safety Plans are approved. Virginia District 15 is leading the pack. Thank you and well done! Welcome to the 2016 Virginia State Intermediate (50-70) All Star Tournament being hosted Caroline County Little League and Virginia District 15. All events are scheduled to take place at the Caroline County Little League Complex, 15496 Paige Road, Bowling Green, VA 22427; in case of inclement weather on Thursday, the alternate site for the picnic and meeting will be the Bowling Green Town Hall, 117 Butler Road, Bowling Green, VA 22427. We have eight (8) teams competing to be the 2016 Virginia State Intermediate Baseball Champion and reprepsent our state at the Southeast Region Tournament in Apopka, Florida starting on July 21st. The teams are expected to report on Thursday, 7 July between noon and 4 pm, after which managers, coaches, umpires, and tournament officials will inspect the fields. Teams are requested to line up outside of the fence along right field at 5:15 pm with the Opening Ceremony starting at 5:30 pm. The Opening Picnic will follow the Ceremony and the Pre-Tournament Meeting for Managers, Coaches, Umpires, and Tournament Officials will be at 7:30 pm. The first game is scheduled to be played at 10 am on Friday, July 8th. The tournament bracket is posted and will be updated daily. Please use the link below to view and/or print the tournament bracket. To the extent possible, we will ty to minimize double headers; however, weather and field conditions could drive changes to the schedule. We will keep you informed as schedules change. Game results and urgent announcements will be posted here as well as Facbook (vadistrict15) and Twitter (@Virginia15LL). Please travel safely and good luck in the tournament.